In fiction, non-fiction and journalism, Angela Carter was one of the most high-profile writers of her generation before her death in 1992. I was particularly fond of her subversive feminist fantasies The Bloody Chamber and Nights at the Circus. For some years after her death her work appeared to fall from public favour, but then I began to notice occasional theatre adaptations. Last year at the Edinburgh Festival Fringe, I saw an effervescent production of Nights at the Circus by the Fourth Monkey theatre company. This led me to re-read Carter’s short story collection The Bloody Chamber which I had loved the first time, both before and after Neil Jordan’s film The Company of Wolves . Some of the stories seem as strong as ever, like the title story where the heroine, imprisoned in an island castle by a sinister husband, is rescued by the dramatic arrival of her pistol-wielding mother, and the Rabelaisian reworking of “Puss-in-Boots”. Much of her language retains its previous power, like the description in “The Company of Wolves” of “the night of the solstice, the hinge of the year when things do not fit together as well as they should” and the idea from the same story that female virginity is a sign of strength and empowerment : “the invisible pentacle of her virginity…a sealed vessel…a magic space…she does not know how to shiver…she is afraid of nothing”. Perhaps it was Carter’s premature death which makes her dark, sensual style seem to belong to the distant past in which these stories are set. Or perhaps simply that my perspectives of human behaviour have changed and these are stories more suited to a younger reading age? Certainly I heard Marina Warner describe it as “a rite of passage book”. Even though perhaps I have lost contact with Carter’s full impact, the readings by Katarina Rankovic certainly seem to have the appropriate tone and flavour. I had already recognised Carter’s influence in the work of contemporary poets Liz Lochhead and Carol Ann Duffy, but it was exciting to discover a poem from an earlier period which has a Carteresque richness and mystery, Christina Rossetti’s “Goblin Market”, and which by coincidence is being dramatised in Edinburgh this year. A round of golf is a good walk spoiled, Mark Twain is said to have remarked. Does that mean that golf by the seaside is more excusable or less? I have never played the game, but the British Open, rather like the Grand National, is a sports event which I came to through childhood television, and one which, despite a general loss of interest in sport, I have stayed close to. 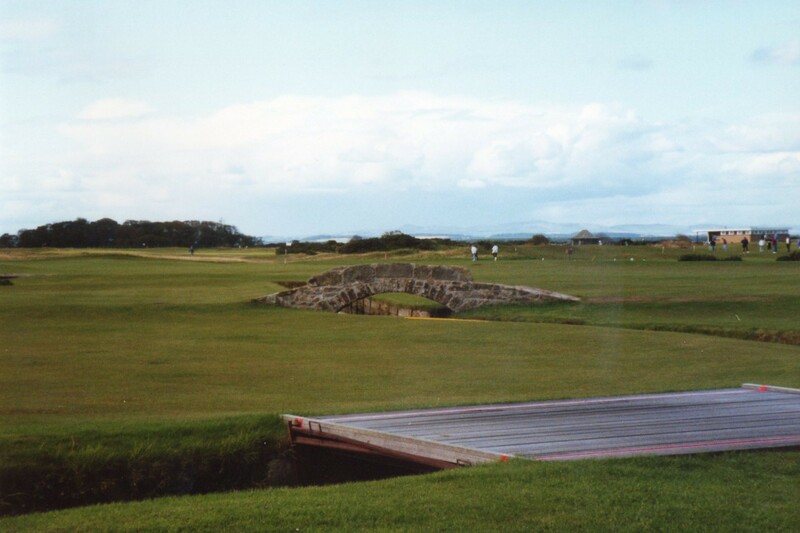 Whereas the Grand National is a 20 minute burst of energy and excitement, the British Open is a four-act play stretched over four days, where the events of the first few hours may have no bearing on the final dénouement, which is influenced as much by your playing environment as by the strengths and weaknesses of you and your opponents. My interest in the annual four-act play is partly due to acquaintance with some of its theatres. 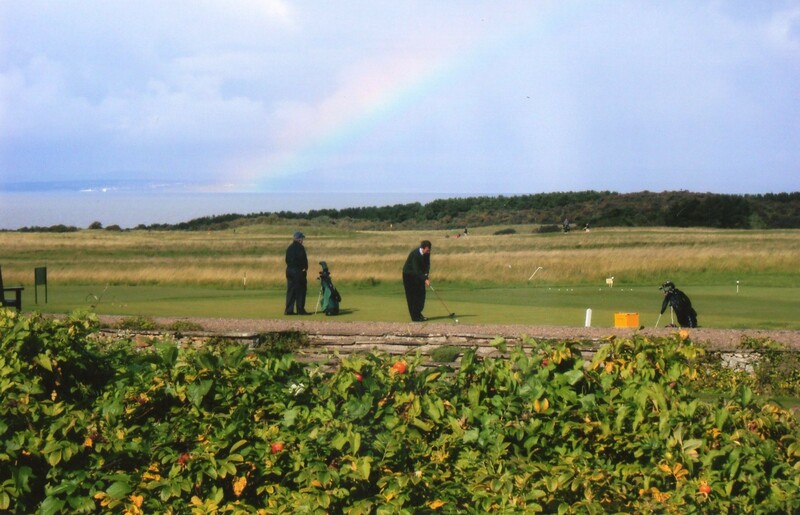 The competition takes place at one of a number of seashore-hugging links courses (currently nine : St Andrews, Muirfield, Carnoustie, Troon, Turnberry, Hoylake, Lytham St Anne’s, Birkdale and Sandwich ) and is a rare national UK sports event in that it takes place more often in Scotland and the north of England than in the south of England. Some golfers playing this week’s British Open course at Muirfield. In the wake of Baz Luhrmann’s film of The Great Gatsby, people have been talking and writing again about Scott Fitzgerald’s novel. I first read it around the time of the previous 1970s film version, maybe partly because of the movie publicity, certainly because there was a copy handy in my parents’ house. I was probably also attracted by its brevity, but I did love it, for its blend of sensuality, dreaminess and action. Its opening and ending are of course famous, but it is jammed full elsewhere of great pieces of writing. Perhaps because I was pleasantly surprised at liking such a literary novel so much, or perhaps because I nursed ill-founded hopes at the time that I could write something like it, many of Fitzgerald’s phrases and sentences stuck in my head, and, re-reading the book recently for the first time in at least 20 years, I was amazed how accurate my memories were. For example, about the romantic allure of Daisy Buchanan, whose voice offered “a promise that she had done gay, exciting things just a while since and that there were gay, exciting things hovering in the next hour”. The startling violence of the scene where Daisy’s husband Tom Buchanan acts to stop his mistress causing a fuss : “Making a short deft movement, (he) broke her nose with his open hand. The summary of Jay Gatsby’s summer night parties : “In his blue gardens men and girls came and went like moths among the whisperings and the champagne and the stars. At high tide in the afternoon I watched his guests diving from the tower of his raft, or taking the sun on the hot sand of his beach while his two motor-boats slit the waters of the Sound, drawing aquaplanes over cataracts of foam. On week-ends his Rolls-Royce became an omnibus, bearing parties to and from the city between nine in the morning and long past midnight, while his station wagon scampered like a brisk yellow bug to meet all trains. And on Mondays eight servants, including an extra gardener, toiled all day with mops and scrubbing-brushes and hammers and garden-shears, repairing the ravages of the night before. This description of the young James Gatz/ Jay Gatsby which suggests he is an existential kinsman of the narrator of Bob Dylan’s “Tangled Up in Blue” who spent time working “on a fishing boat right outside of Delacroix” : “For over a year he had been beating his way along the south shore of Lake Superior as a clam-digger and a salmon-fisher or in any other capacity that brought him food and bed. His brown, hardening body lived naturally through the half-fierce, half-lazy work of the bracing days. He knew women early, and since they spoiled him he became contemptuous of them, of young virgins because they were ignorant, of the others because they were hysterical about things which in his overwhelming self-absorption he took for granted”.